Sick of finding junk along the shores? Done with kayaking through patches of garbage? Tired of taking creepy looking objects from your dog when walking along the riverfront? Well, this Saturday, May 9th, you can do something about it! Riverkeeper is having a River Sweep event all along the Hudson Estuary* from New York City all the way to Albany. 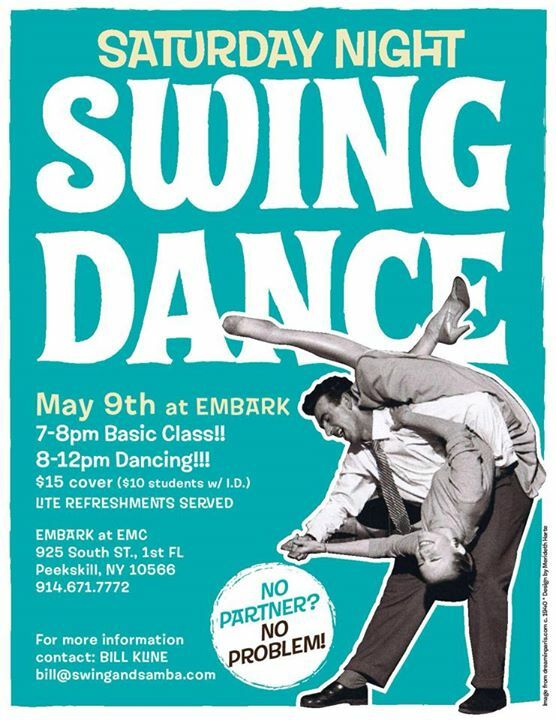 There is still time to sign up! Sessions. The MAGIC happens here. with JP Patrick & Friends, and special guest, Johnny Feds! Rangers vs. Capitals – NHL Playoffs, Round 2, Game 5. Support them on at your favorite Peekskill drinking establishment! The Riverkeeper Sweep is the largest day of service for the Hudson River, and will take place on Saturday, May 9. To register, click on a site below or if you’d like to join a different site visit www.riverkeeper.org/sweep to choose from one of 100 cleanups and plantings from NYC to Albany. 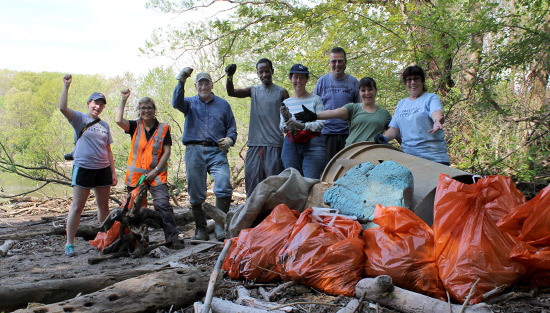 In 2014 this event engaged more than 1,900 volunteers, who removed an estimated 31 tons of trash and planted hundreds of trees in 82 shoreline locations on the Hudson and its tributaries. Volunteers removed 2,340 pounds of debris from Annsville Preserve, Riverfront green and Travis Cove as part of the Sweep in 2014. New York City and Hudson Valley breweries will host meetups following the Sweep, where participants will be treated to one free beverage on the house (non-alcoholic options available). Following the cleanup, volunteers are encouraged to head to their local brewery for a beer. The success during the 2014 Sweep was due to the leadership of over 120 Sweep Leaders and the dedication of nearly 2,000 volunteers and hundreds of community partners. Let’s continue to reclaim the Hudson River from the hands of polluters. Full disclosure: I work for Riverkeeper. Lately some well respected newspapers have taken notice of our town. The following weekend saw a surge in business. Let’s see what happens this coming weekend! Whaa? 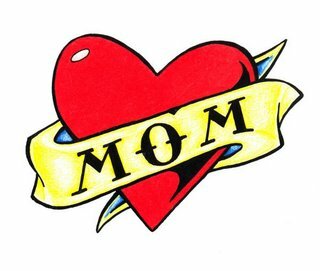 Punk Rock at Division Street Guitars? Hellz Yeah! 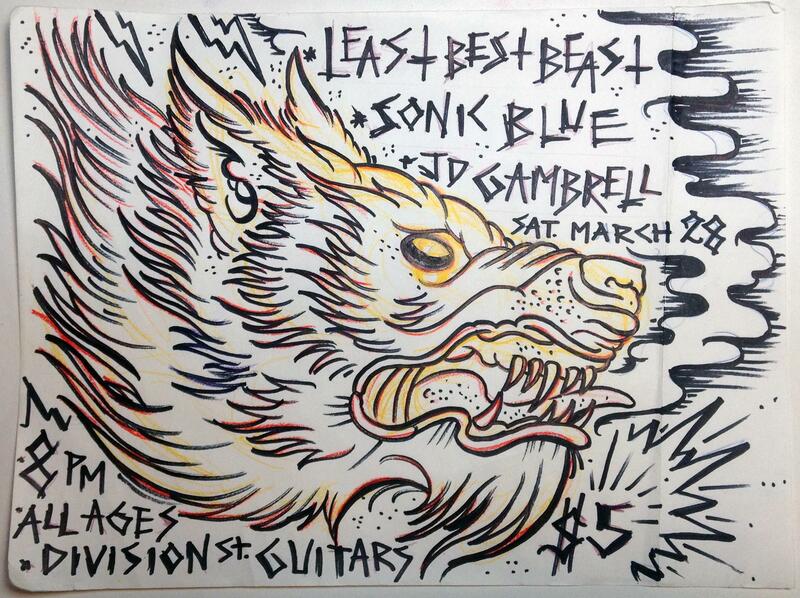 Least Best Beast, Sonic Blue and JD Gambrell at Division Street Guitars. Word on the street is earplugs should be worn by the children and the weak at heart. Join on Facebook. Showtime Dance Band combines the sound of Motown, Soul, R&B, Funk, Old School Disco, Dance Rock and Jazz. Drew Bordeaux will be joined by 5-time Grammy nominee Jon Cobert, keyboardist, vocalist and amazing entertainer. With a rhythm section that includes Candullo and Tom Barraco (formerly of the folkedelics) and Anna on violin, this Cavalry will be riding in with the Rock & Roll “Thunder”. Called “one of the great voices of today,” Alexis Cole has been compared to classic jazz singers such as Sarah Vaughan and Anita O’Day. 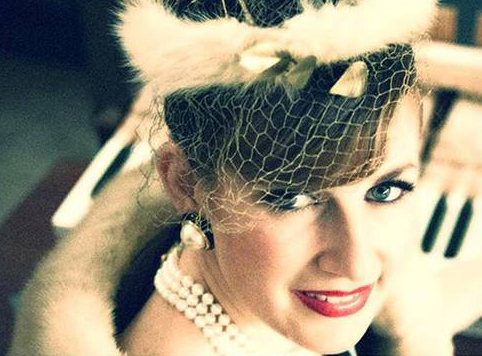 Her luxurious voice and innovative interpretations make her an instant favorite with audiences of all ages. Superstar heartthrob Rick Springfield Strips Down with an intimate solo performance of music & storytelling! The Stripped Down tour gets you up close and personal with Grammy®-winner Rick Springfield. Saxophonist Rob Scheps studied at the New England Conservatory, led his own groups while living in Boston; most notably the True Colors Big Band and, in 1988, moved to New York, formed the Rob Scheps Core-tet and Bartokking Heads, establishing himself as a formidable force on the jazz scene. Core-tet includes: Shunzo Ohno, Jamie Reynolds, Mike Richmond, Anthony Pinciotti. $10 Admission. For reservations, call 914-737-1701. The live stage magic phenomenon born from the multi-award winning television series! You’ll believe the impossible when Masters of Illusion brings you grand illusions, levitating women, appearances and vanishes, escapes, comedy magic, sleight of hand and beautiful dancers…everything you could possibly imagine and performances that you never dreamed possible – all rolled up into a live show!